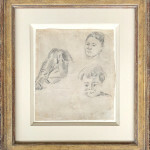 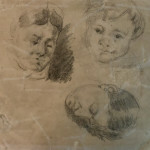 inwardness and seriousness that suggests the artist is imbuing the child with his own thoughts and emotional maturity. 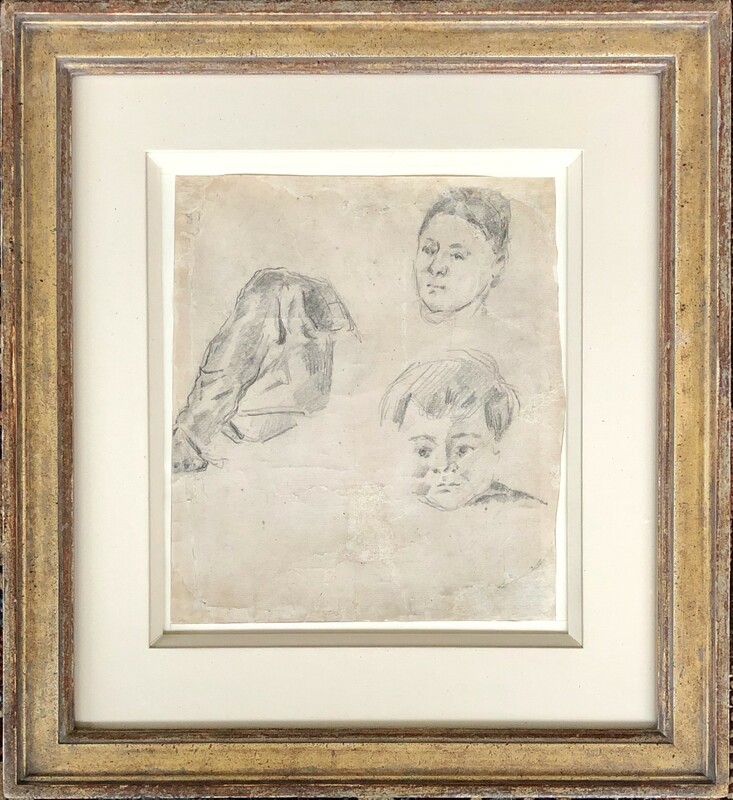 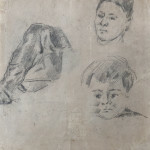 The drawing has been dated to 1873-5 and it bears stylistic similarities to studies of these or similar subjects from around this date ('Head of the artist's son, 1876-7, ex-collection of Henry Moore, and 'Heads of Hortense Fiquet and Paul Cézanne fils, 1873-5, Ashmolean Museum Oxford). 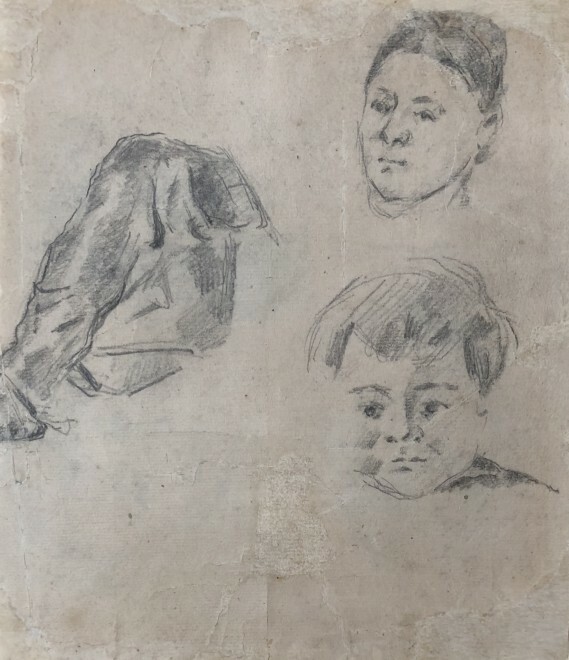 Both studies are even more engaging as we are responding purely to the subjects' heads, stripped of any attributes or setting so that the artist is reacting directly to the two people in the world to whom he is closest. The third study is similar to a later (c.1890-92) watercolour of a coat on a chair and it is intriguing to speculate whether this carefully volumetric drawing of drapery is in fact a coat and is supposed to suggest the presence of the artist, completing this subtle and affectionate description of his domestic life.